A driver in union City, N.J., lost control on Kennedy Boulevard and struck the truck. 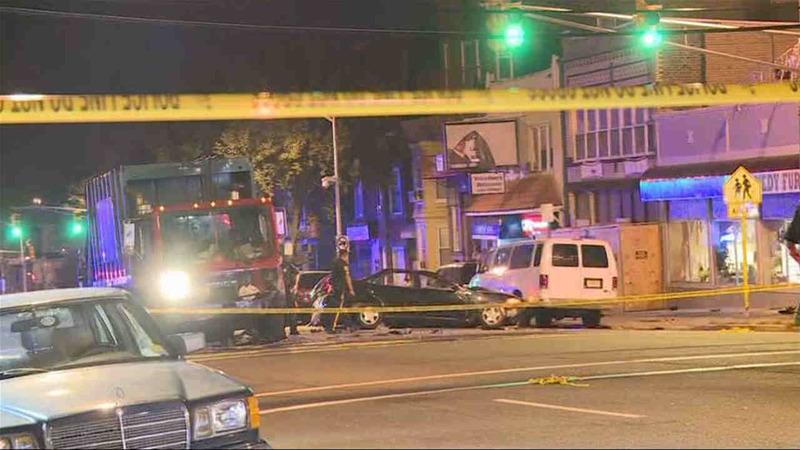 UNION CITY, New Jersey (WABC) -- A driver was killed Thursday in a collision with a private garbage truck in Union City. The driver lost control on Kennedy Boulevard and struck the truck. The garbage truck driver was treated for a minor injury. Kennedy Boulevard was closed Thursday morning for the investigation.